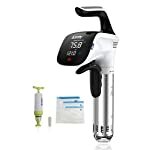 Tags: Azrsty, Azrsty Culinary Thermal, Azrsty Sous Vide, circulator, cooker machine, cooker system, gourmet cooker, precision cooker, Precision Immersion Circulator, sous vide, sous vide amazon, sous vide cooker machine, sous vide cooking, sous vide machine, sous vide precision cooker, thermal cooking. 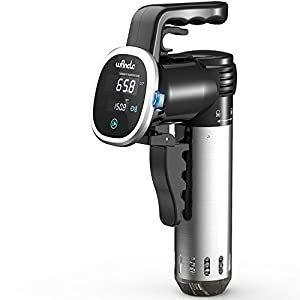 Sous Vide is a method of cooking in which food is vacuum-sealed in a plastic pouch and then placed in a water bath or steam environment for longer than normal cooking times (usually 1 to 7 hours, up to 48 or more in some cases) at an accurately regulated temperature much lower than normally used for cooking (typically around 55 to 60 °C (131 to 140 °F) for meat, higher for vegetables). The intent is to cook the item evenly, ensuring that the inside is properly cooked without overcooking the outside, and to retain moisture. Why Choose Azrsty Culinary Thermal Precision Cooker? The Chef is You: Make your cuisine like a restaurant-made. The best time to do something awesome for your friends and family is Now! Healthy Living: Not just for the natural taste of food, but also for the nutrients & vitamins that your body needs. 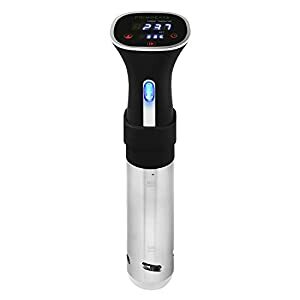 Add some Sous Vide to your meal! Reliable Working: 850 Watt motor with 3D heat circulation system can accelerate the water heating. Ergonomic tough handle offers a secure fit and prevents you from vapour heats. Quiet and Simple: Completely quiet all the time while cooking. Smart interface allows easy controls with simple steps. 24 Months Warranty & Professional Customer Support: Zero-Risk buying as we will offer quick solutions for any questions and dissatisfaction you have. 1. 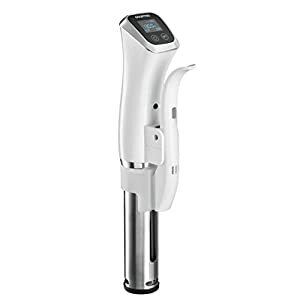 Attach the Azrsty Sous Vide Thermal Immersion Circulator to any pot or container with proper water filled. 2. Put all the food & ingredients you prepared in a vacuum-sealed bag into the water. 3. Set the temperature and timer and get started. Say NO to Overcooking – Want to achieve perfect Steak Doneness? Here is the way! Inbuilt with high-tech digital timer chipset that precise time to minutes and temperature to 0.1?. Wide range of time control (Max. 99h59mins) and temperature adjustment (25-99.9?) (77°F-211.8°F) make sure you can DIY any types of food. 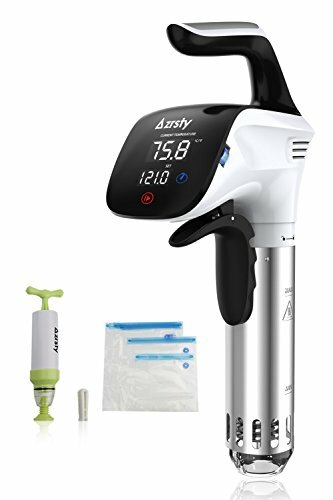 Unlike those traditional methods, Azrsty Sous Vide cooking can keep the natural flavors of ingredients with maximized nutrients and juice remained for your healthy diet! Friendly Design – Tired of day to day cooking with noise and smoke? Look here! 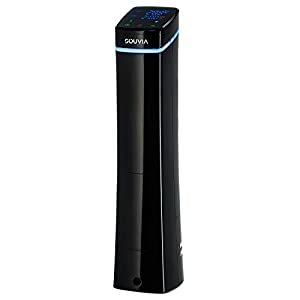 Our Sous Vide device is powered by electricity and is completely quiet. 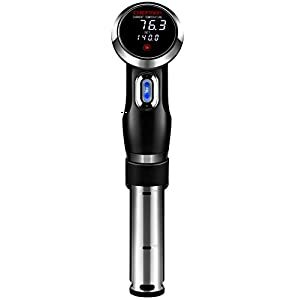 It is portable to use with one hand, and has a smart digital panel control for easy time/temperature setting. 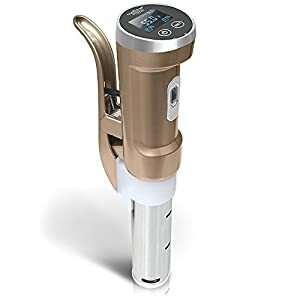 Considerately, this thermal immersion circulator also has Overheat and Low Water Level Protection for unexpected situations. 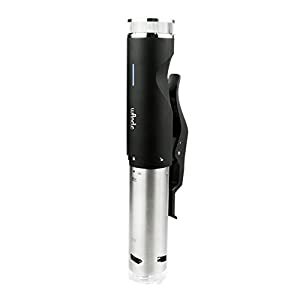 Well-made stainless steel sleeve is durable and easy to clean or dry out. 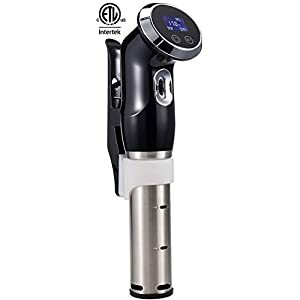 Effortlessly to Use – Just fix the Azrsty Sous Vide cooker to the side of any water-filled pot with its clamp, add water, put into the ingredients you already prepared in a sealed bag, then set time/temperature and hit “start”. So easy and clean, no extra equipment you need. 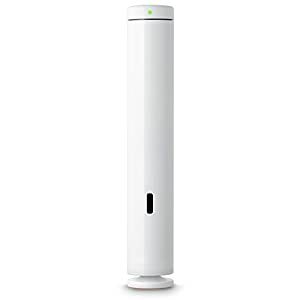 Less is more, Azrsty focus on the Sous Vide cooking itself, and it is not necessary for fancy WiFi and Bluetooth feature that is more complicated and costs you much more money. 100% Shopping Assurance – REACH, RoHS, TüV, GS and ET, we passed all certificates and quality tests before we sell our products. Up to 24 Months Warranty gives you no worries after purchase. Not to mention we have friendly customer support that will reply within 24 hours once you email us for any questions.